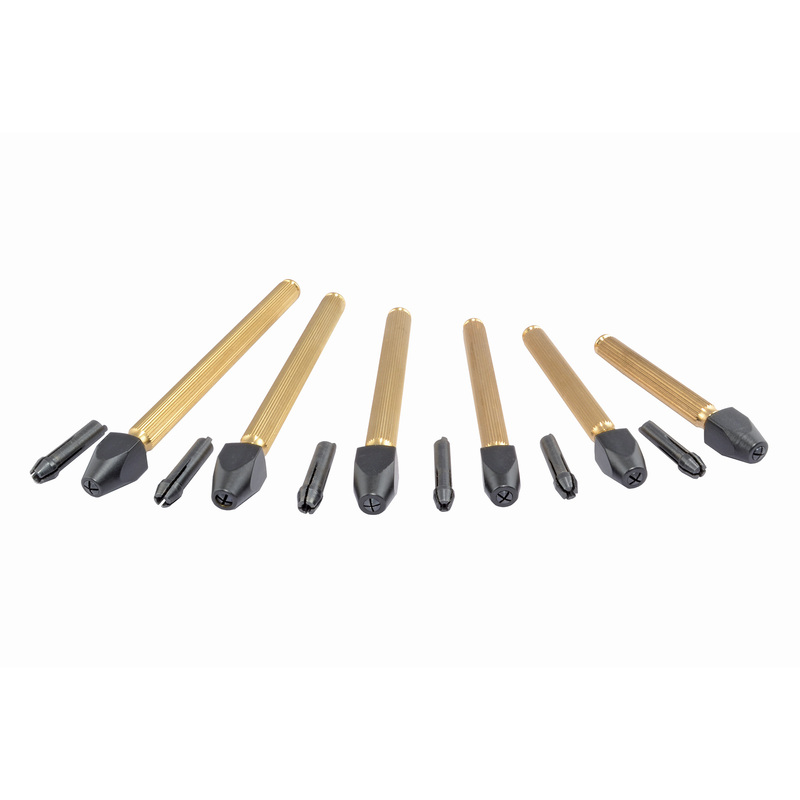 Beautifully crafted set of 6 pin vises with straight-knurled brass barrels for superior grip. Square collet nuts keep them from rolling off your work bench. Lengths range from 3 inches to 5 inches. Includes 12 steel collets to handle all sizes of drill bits and pins from 0 through .144 inch diameter.